Super Easy to Use. Extremely Sophisticated Capabilities. Intelligence Built-In. Multi-Lingual Support. Millions of audit control points measured annually. One-stop view of performance. It’s everything you always wanted in your Audit Software platform. Start, conduct and complete your audits from any device at any time. 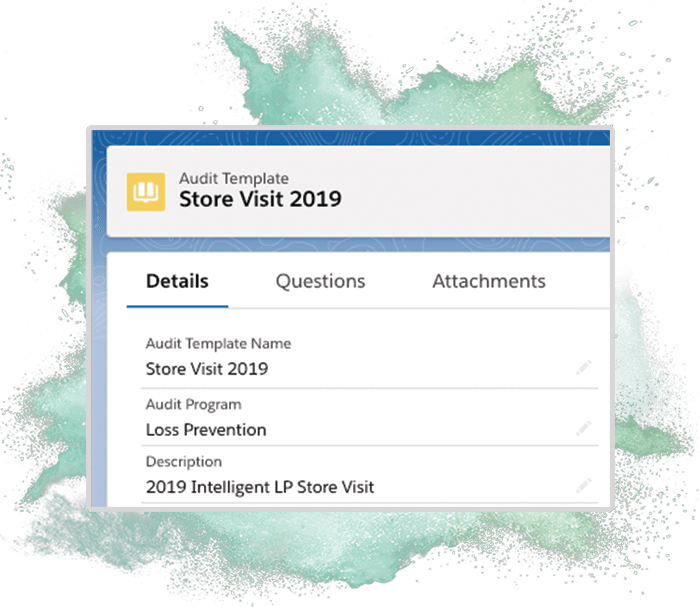 From simple 5-question store visits to complex 500+ question assessments, the ThinkLP Audit Platform has you completely covered so you can concentrate on improving compliance. Leverage all the data in your ThinkLP platform to drive more intelligent audits. 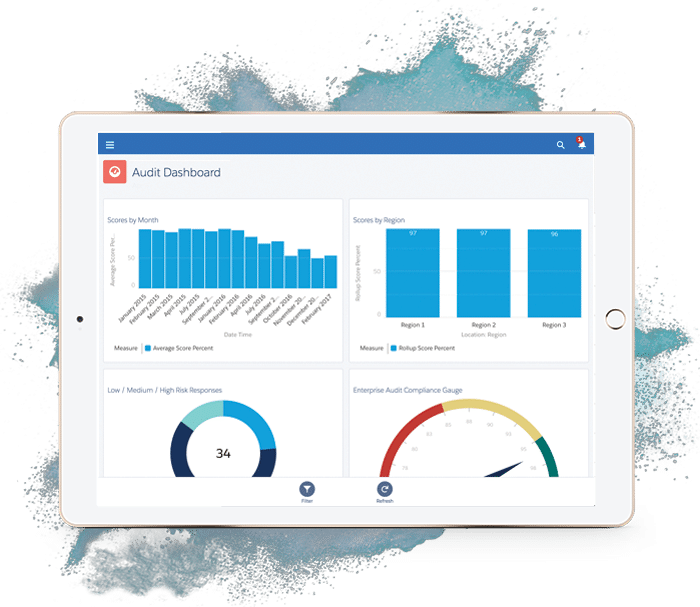 Most companies can say goodbye to Mini and Full audits and leverage the power of ThinkLP’s Audit Software to make their templates dynamic based on the performance and history of each store. Quickly identify non-compliance trends by seeing historical answers to each question. Track, monitor and escalate audit accountability from one screen. 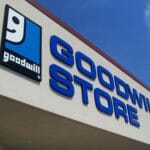 Stores can complete their own audits and the results are automatically saved in the same ThinkLP platform. Now your store audit and field audit results are comparable and you can plan on auditing stores based on store assessment results. If you need to capture a signature, just conduct the audit on your smartphone or tablet and have someone sign with their finger. Signatures are captured and stored as part of the audit record. 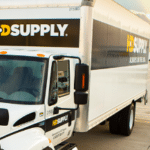 Not sure what store number you’re about to audit? 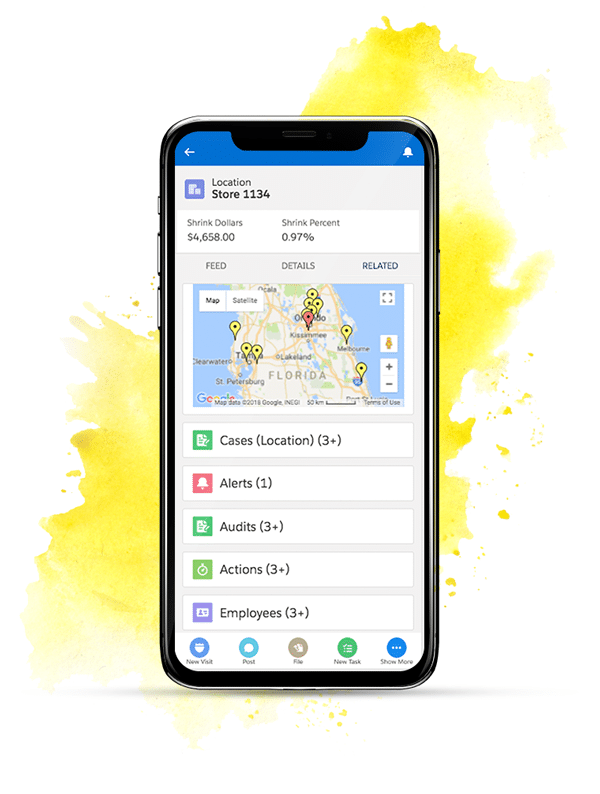 Simply tap the “Locate” button on the New Audit screen on your smartphone and the nearest location will automatically be selected for your audit. Walking around conducting an audit on your mobile device? Take a picture and have it automatically saved to your audit. Your pictures are immediately available online, and are printed with your audit results. See how our clients are succeeding with ThinkLP! You can start, conduct and complete your audits on your mobile devices, both smartphones and tablets. Enter answers and actions with ease. You can even structure your audit according to how you walk around the store, but report on it according to compliance categories. Super-simple but super-powerful. 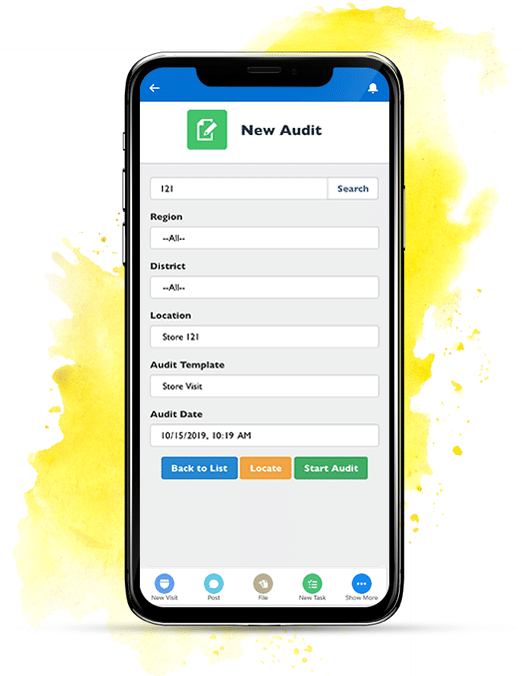 Full support for iOS and Android devices, both smartphones and tablets, make installing and conducting your audits on mobile devices a breeze. Leverage mobile device capabilities like Talk-to-Text to verbally dictate audit answers directly into your app. Take a photo and attach it to your question with ease. View, manage, and distribute your photos automatically with the automated audit distribution capabilities. Create and modify your audit templates online. Add, modify and remove questions, set scoring options, and define the entire audit template easily using the audit template builder. Managing your audit templates has never been easier with ThinkLP Audit Software. Manage multiple audit programs with multiple departments, and start seeing your audit results all in one place. Start trending your audit results across functional units and support your locations and managers with the right resources to enable them to become compliant and succeed. 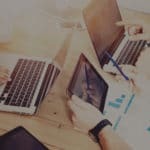 Make audit updates easily by using the collaboration tools to discuss, recommend and vote on changes to each of your audit questions. Stop the endless email trails and dialogue and collaborate contextually within ThinkLP. Pre-Schedule audits to be conducted during a time-frame. Request others to conduct an audit. Trigger audits to be conducted based on any event within the system. With ThinkLP Audit Software, you can automatically or manually assign corrective actions to your audit responses, assign responsibility and set due dates. Keep track of corrective action plan completion, and even review open actions when you’re conducting the next audit at the same location. Notify stakeholders immediately once the audit is complete. Include copies of their audit and attachments to keep them in the loop. Submit audits for approval, and schedule corrective action plan follow-ups. Or choose to notify individuals that a specific question has failed so they can take immediate corrective action. Complex visual workflow made stunningly simple. 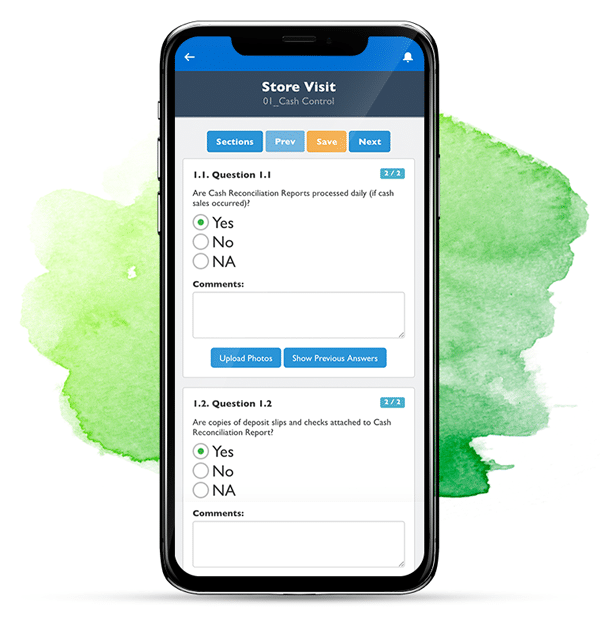 With lots of question types and question scoring options, you have enormous flexibility in how your audit is scored and compliance levels reported. Simple points and percentages to grading levels, critical questions, negative weighting, category scoring and more. We have beautiful printable audit templates built-in, but if you have a specific audit print layout in mind the template can be easily configured for your own purposes. Compliance trends are immediately displayed on your dashboards and in all your reports. Leverage countless built-in reports, or build your own for specific reporting requirements. Share your dashboards and reports, make comments and share your thoughts on the trends and start collaborating with your team to improve operational excellence. The ThinkLP audit software is fully integrated into the ThinkLP platform, so your users can use the same software and same mobile app. Your data is instantly available everywhere for reporting, analysis, notifications and action. 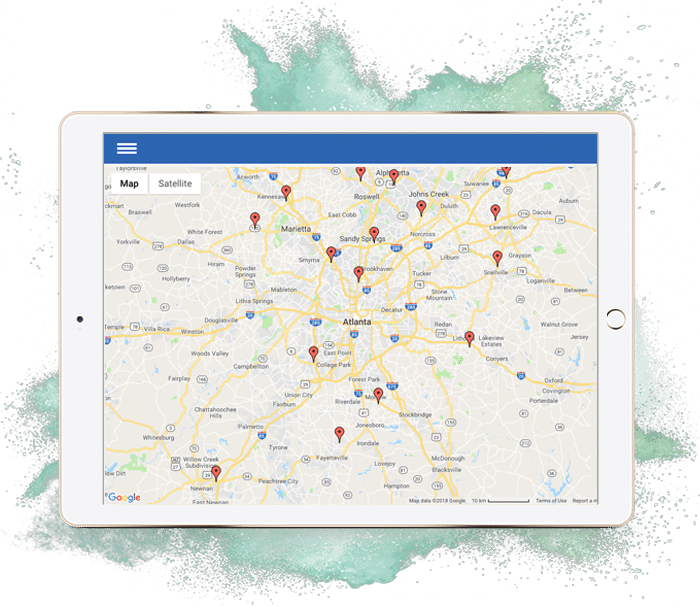 Create dashboards with data from your entire ThinkLP cloud or view a timeline of events at a specific location: no more modularization, just one integrated platform. See where you’ve been and where you need to go on a map and plan your audit road-trip!